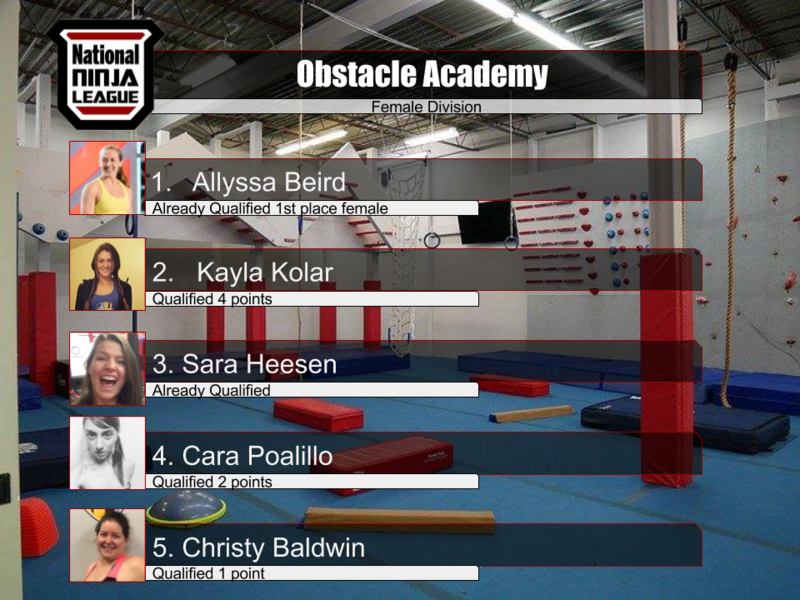 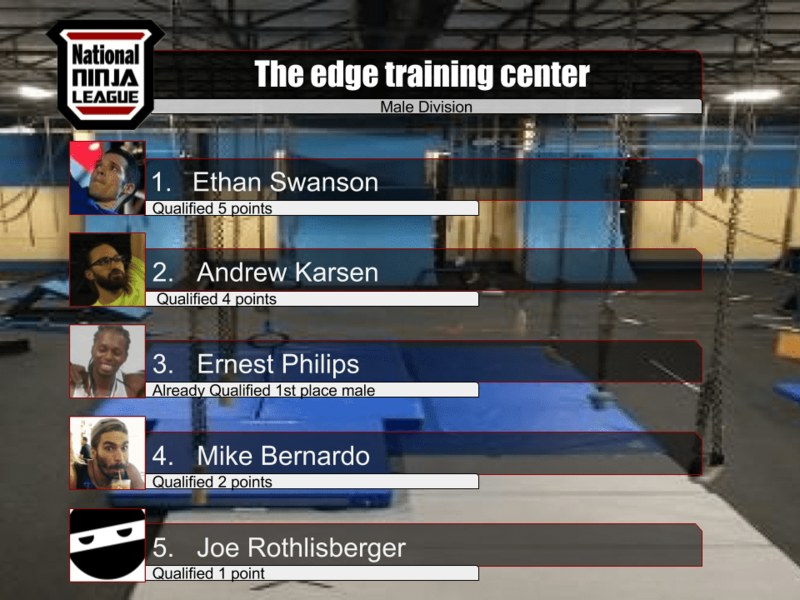 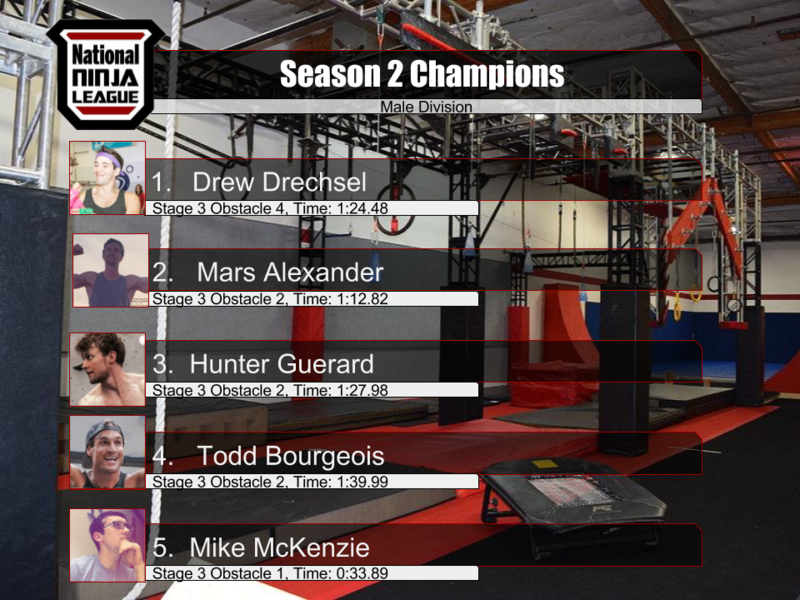 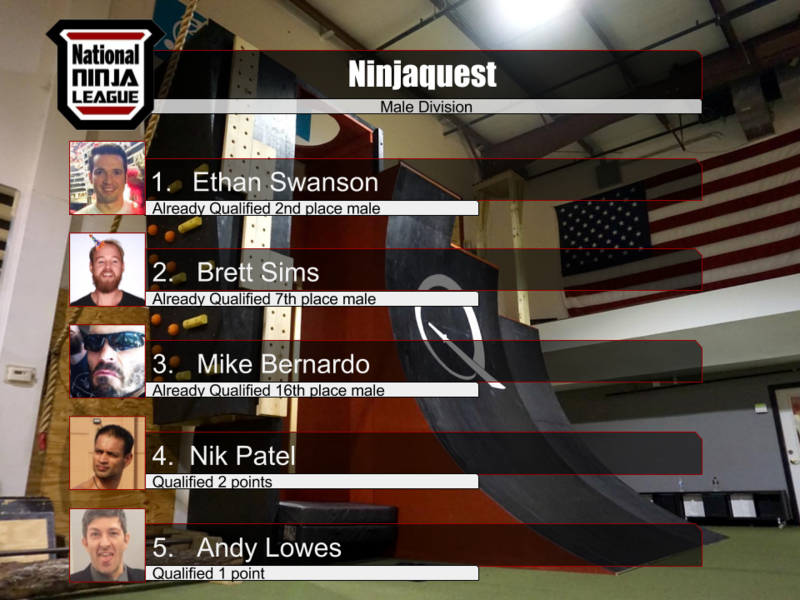 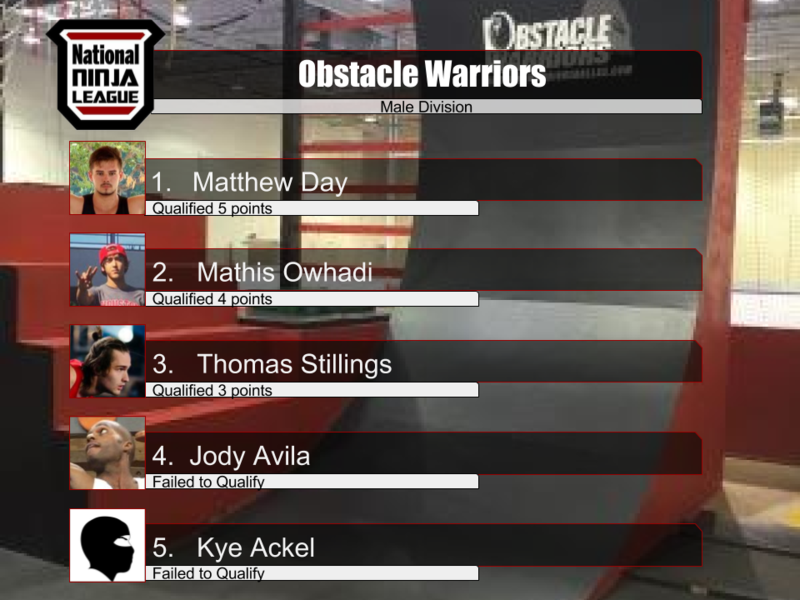 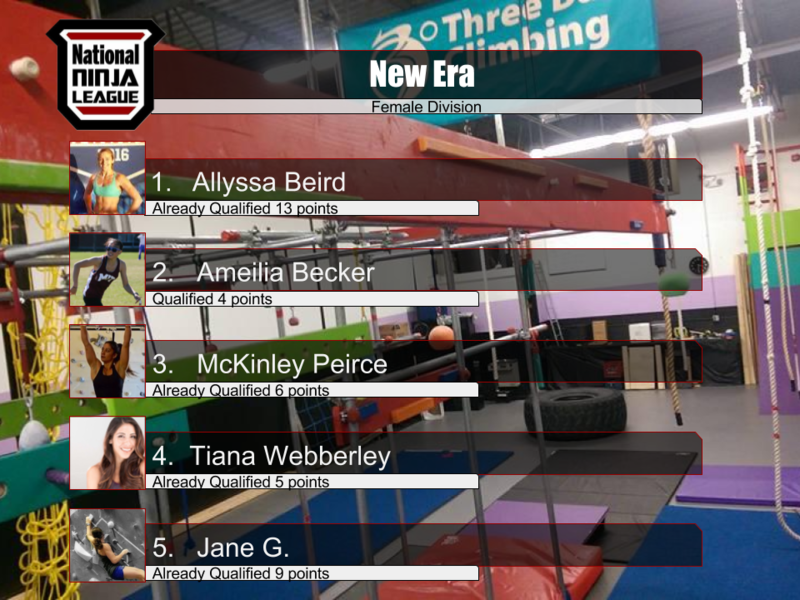 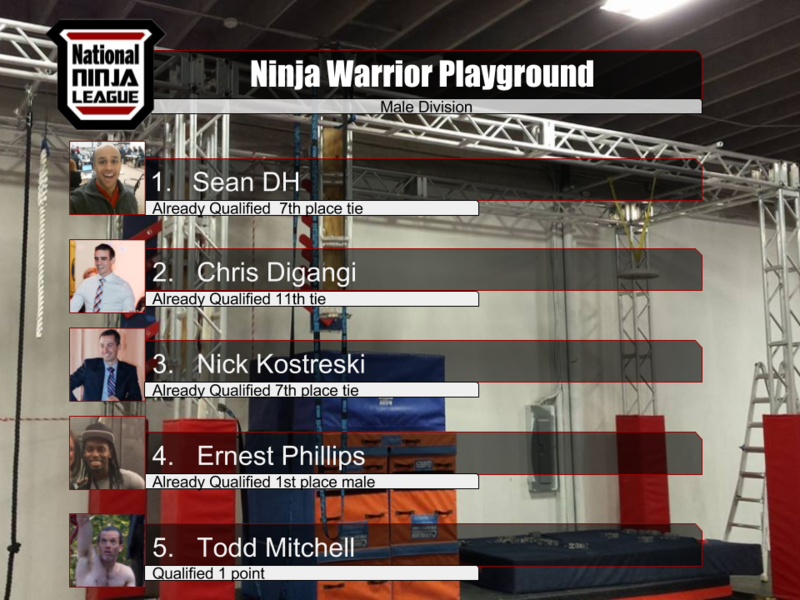 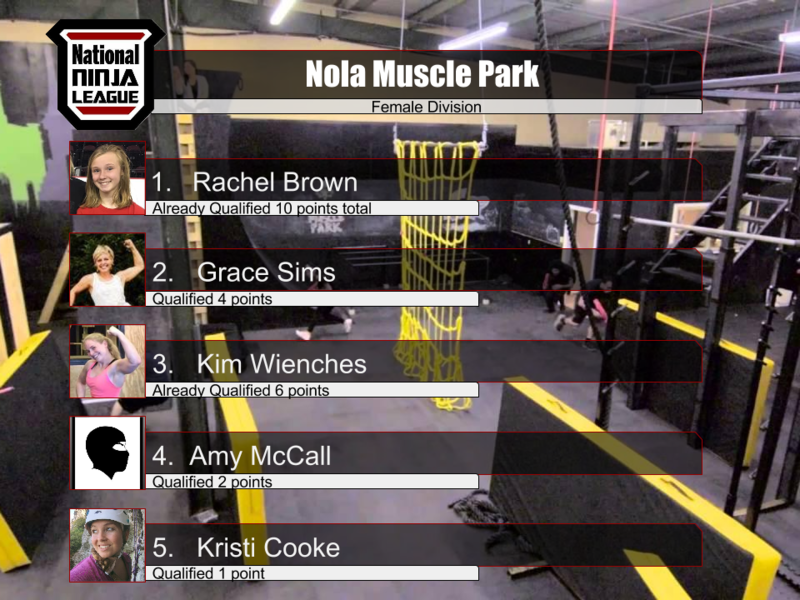 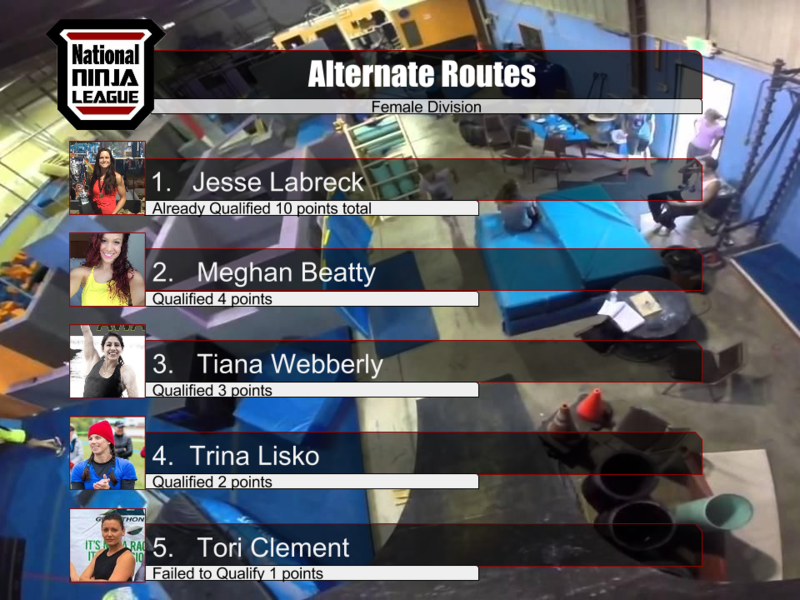 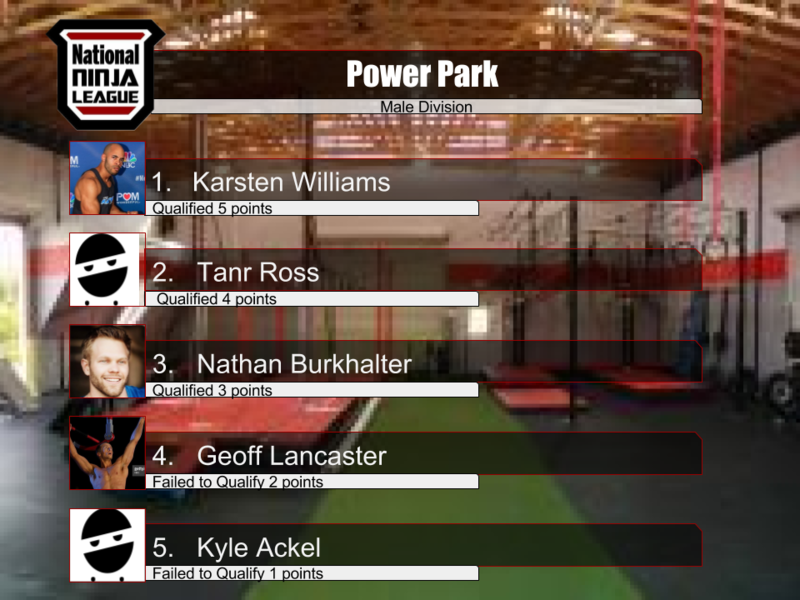 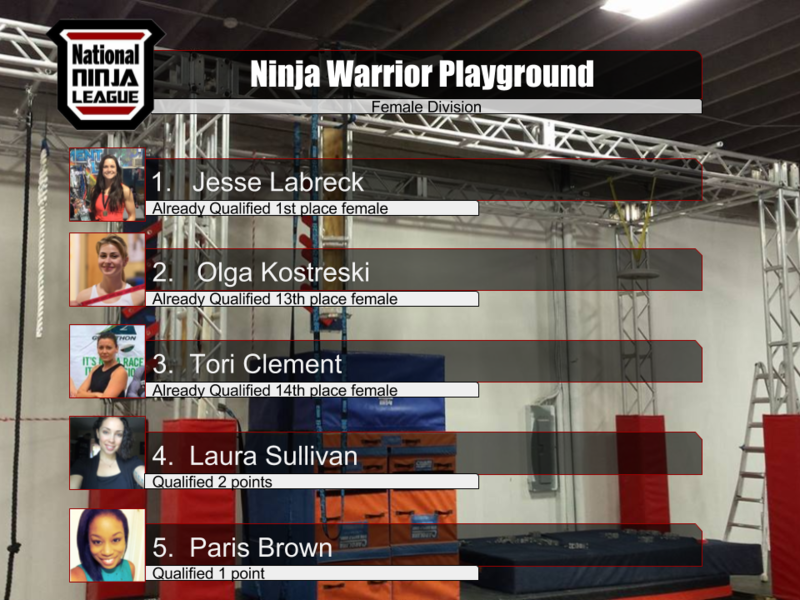 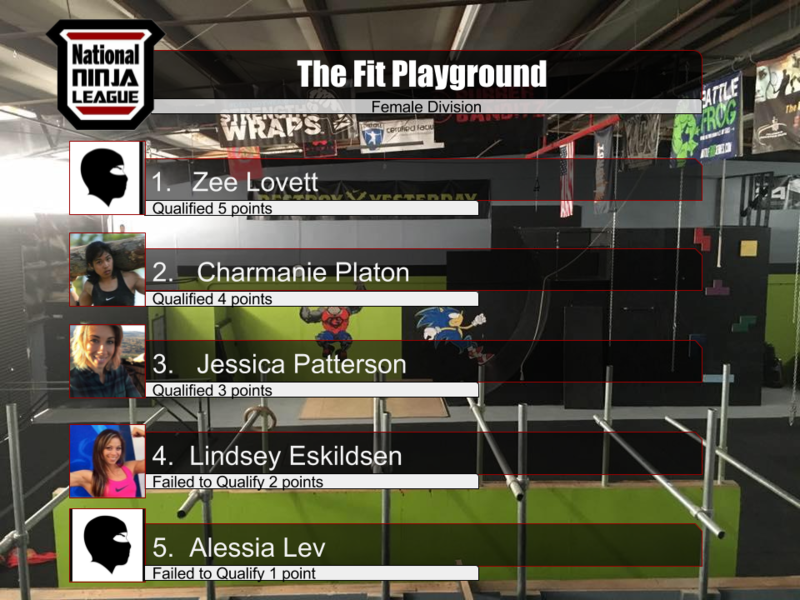 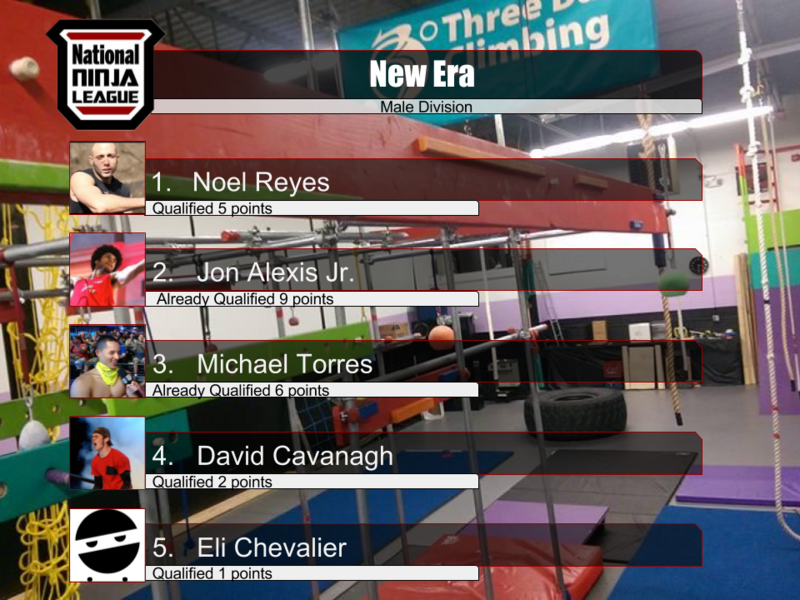 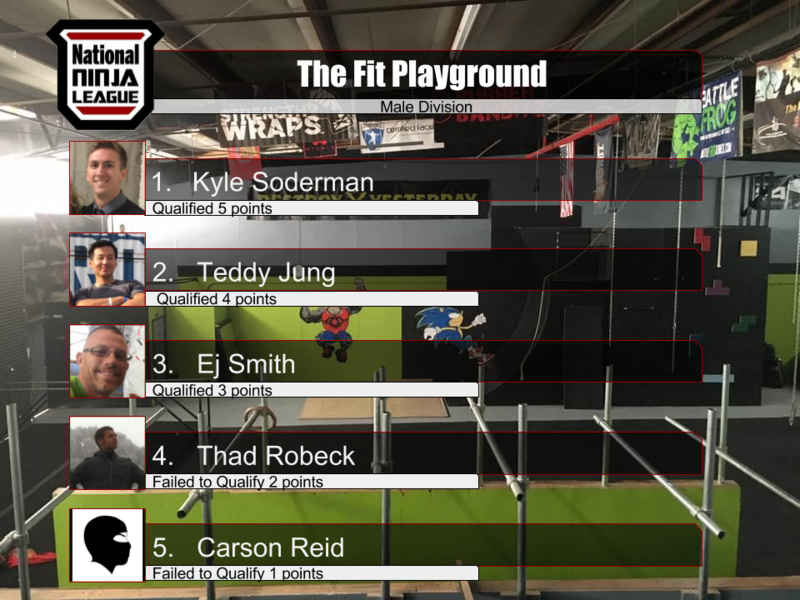 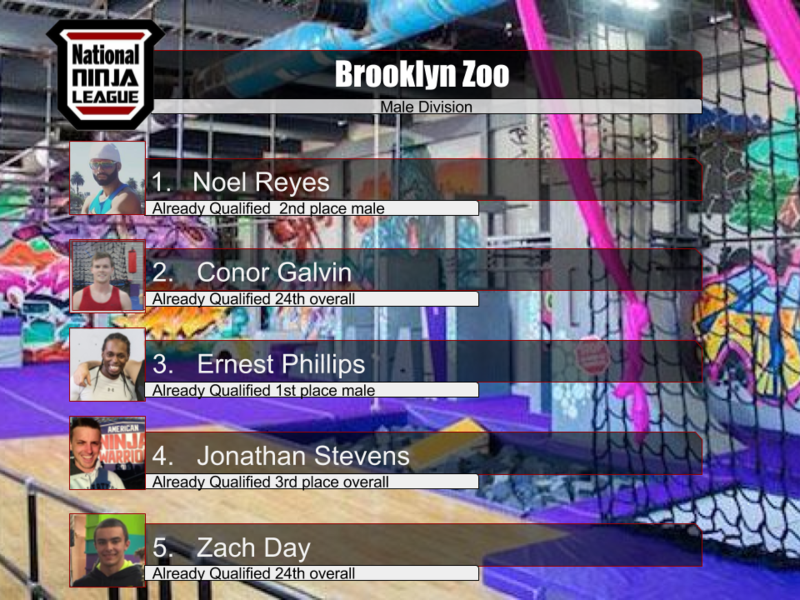 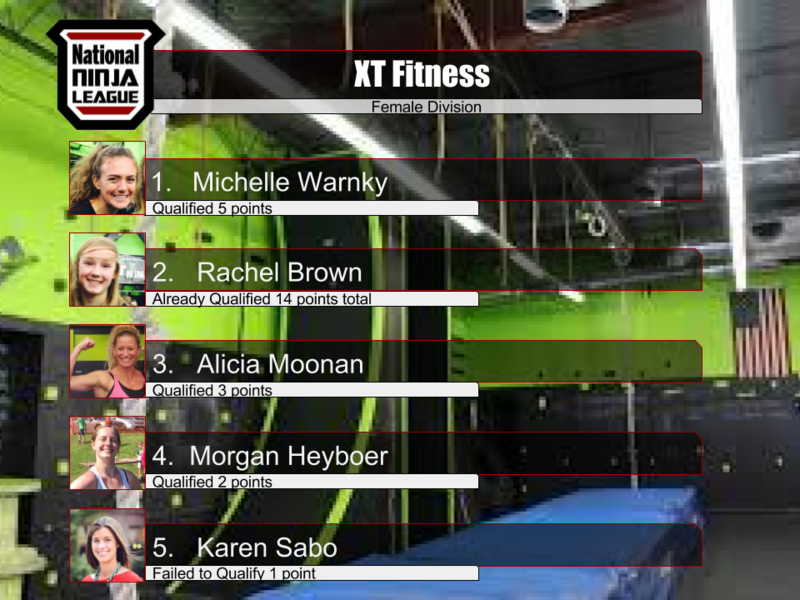 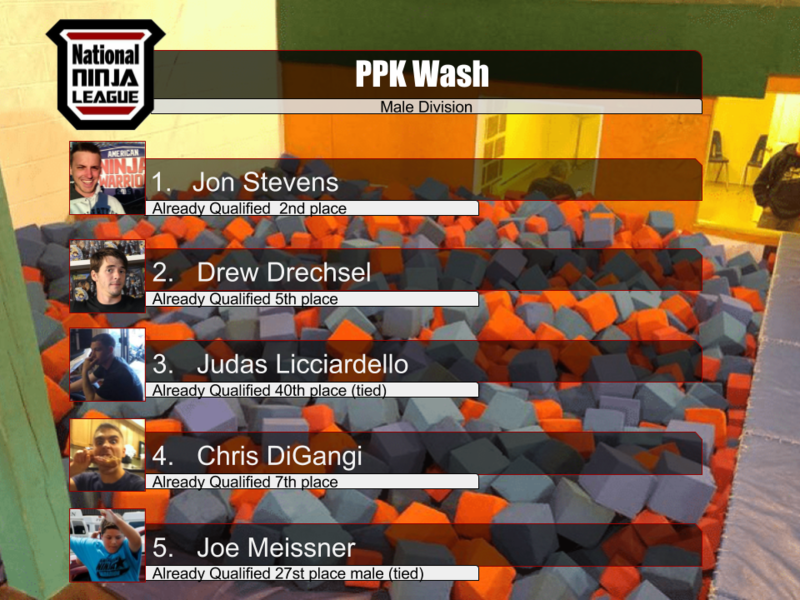 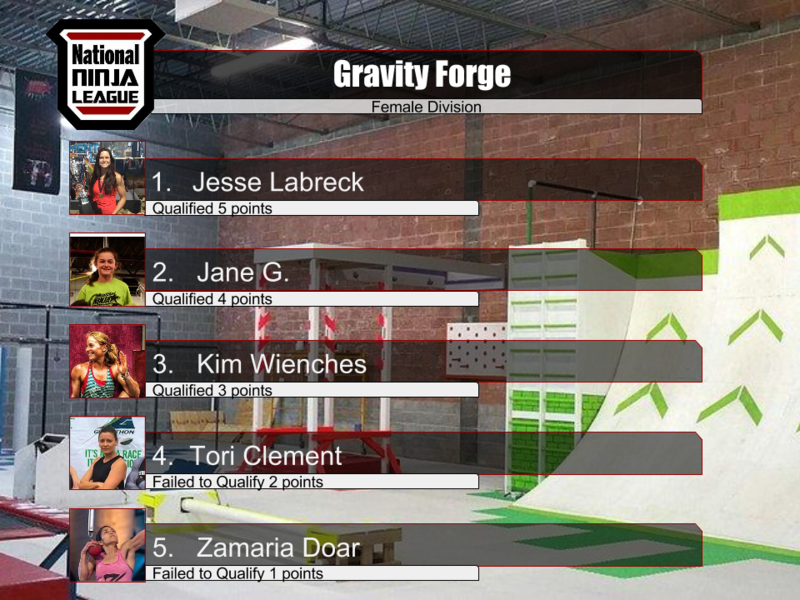 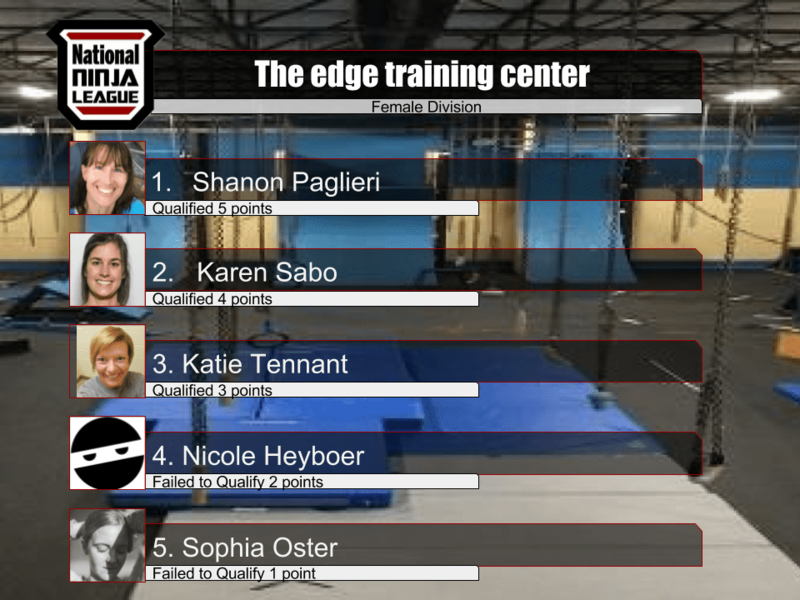 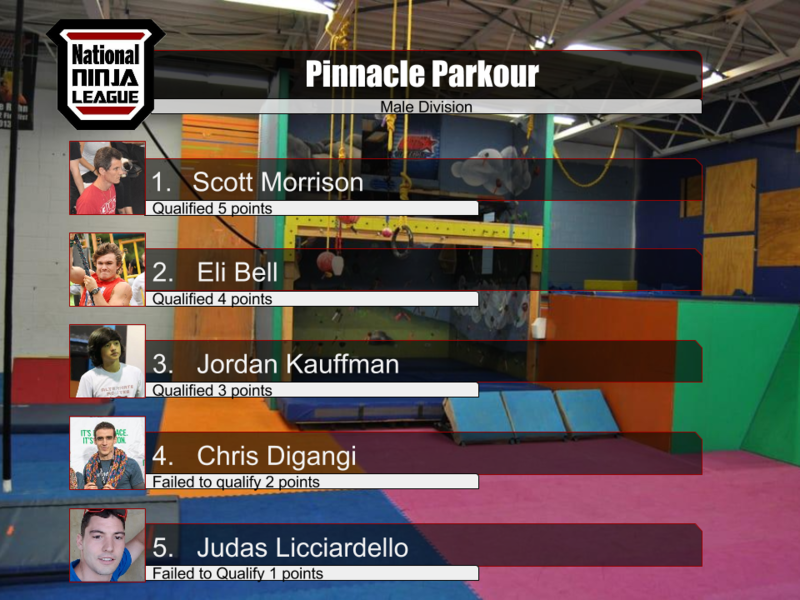 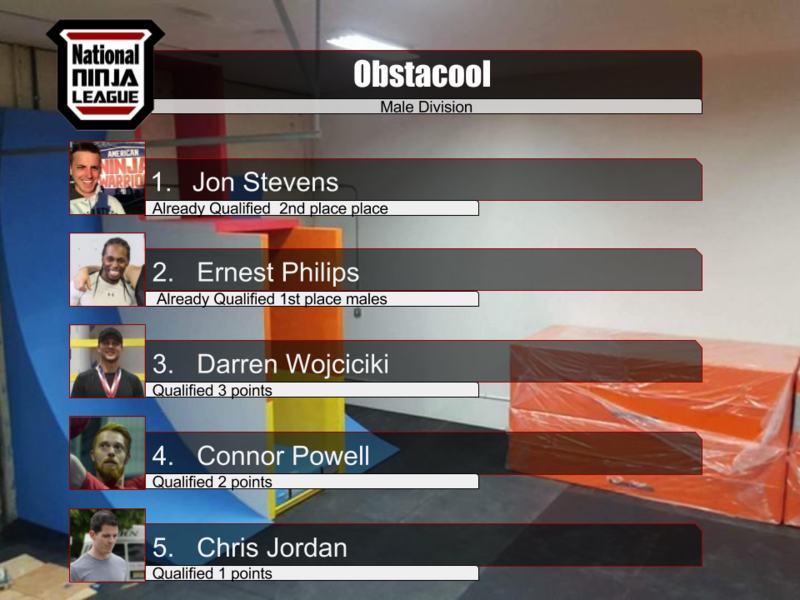 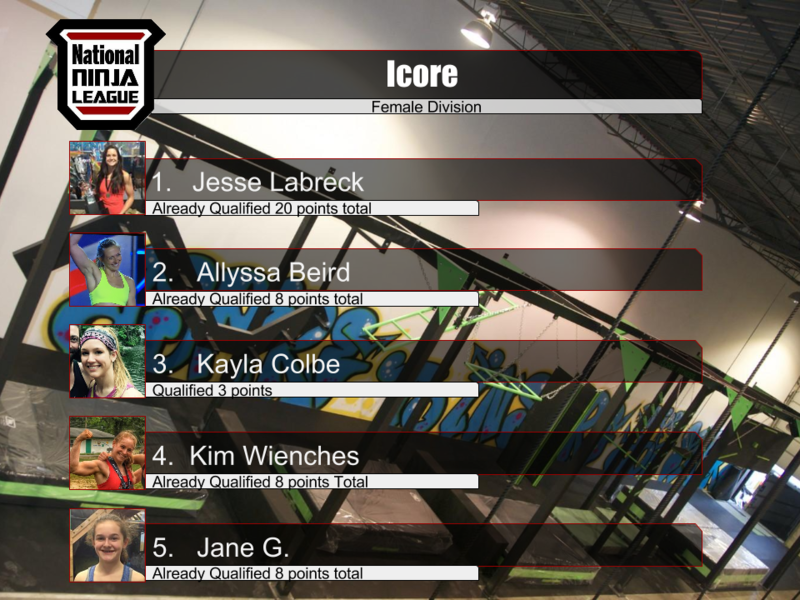 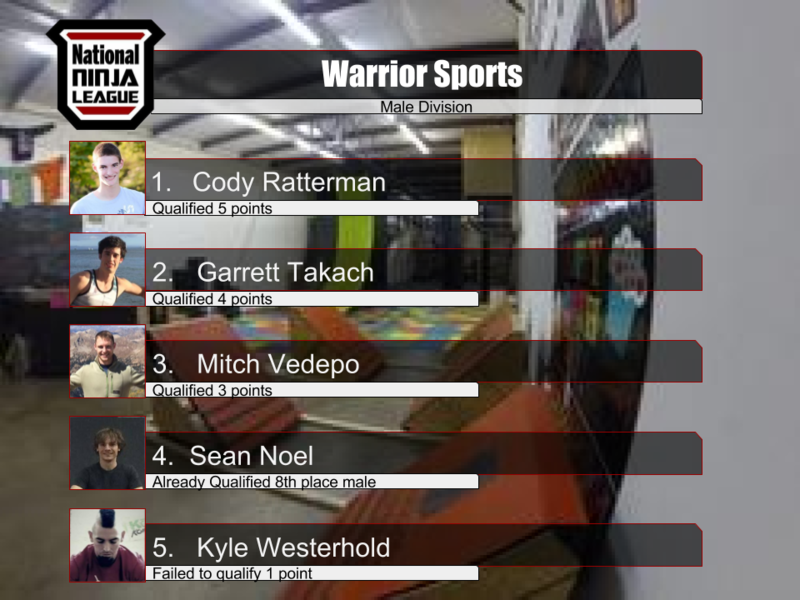 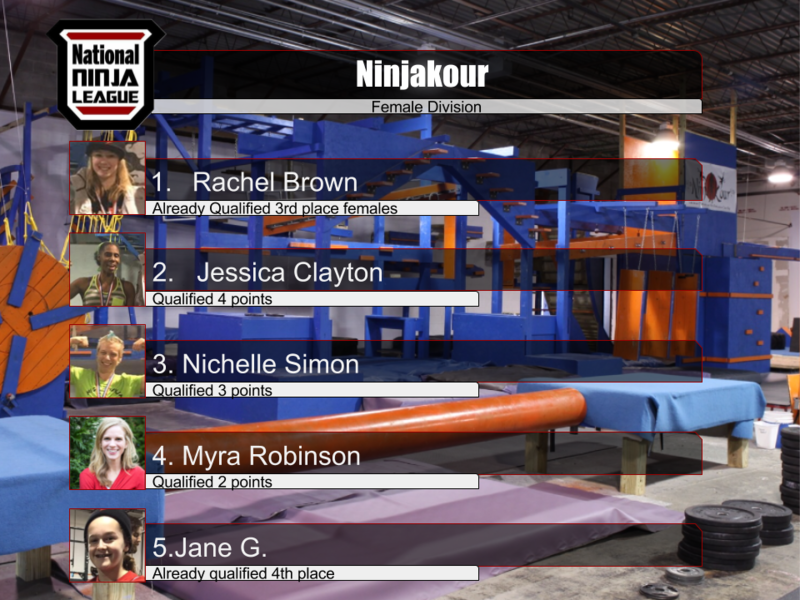 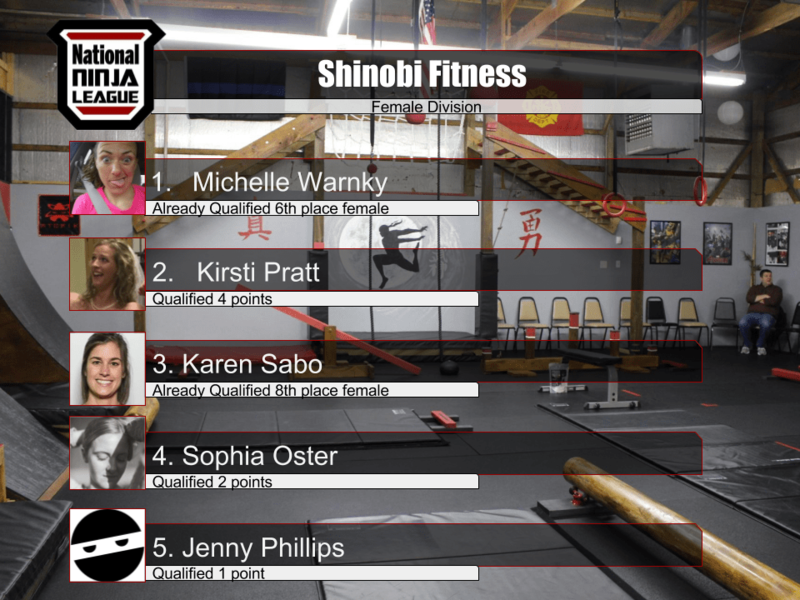 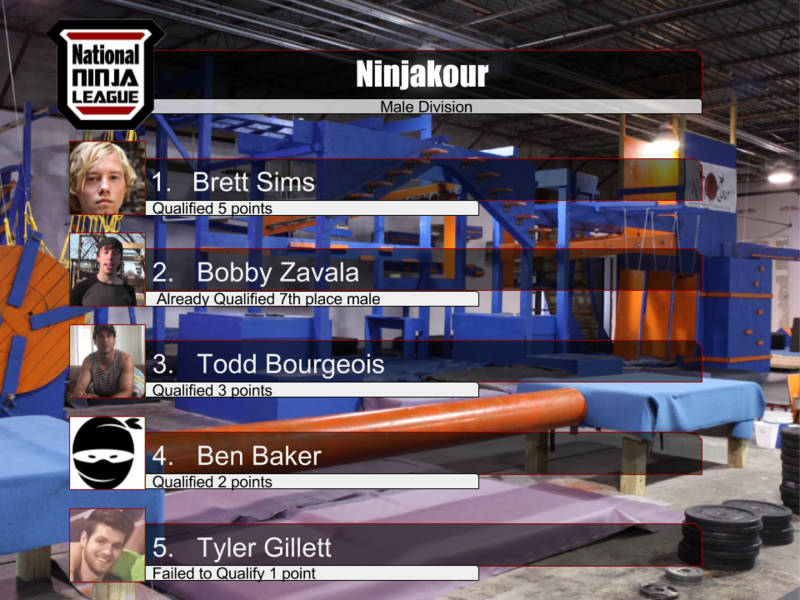 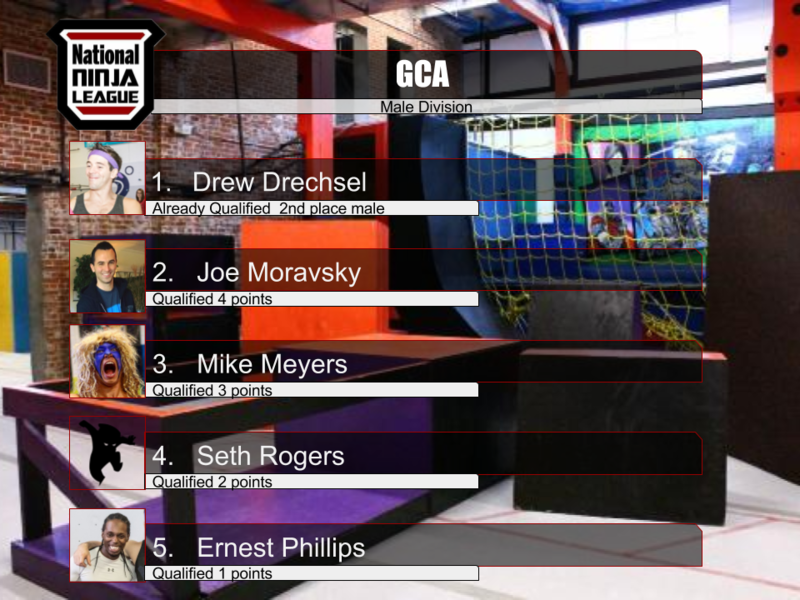 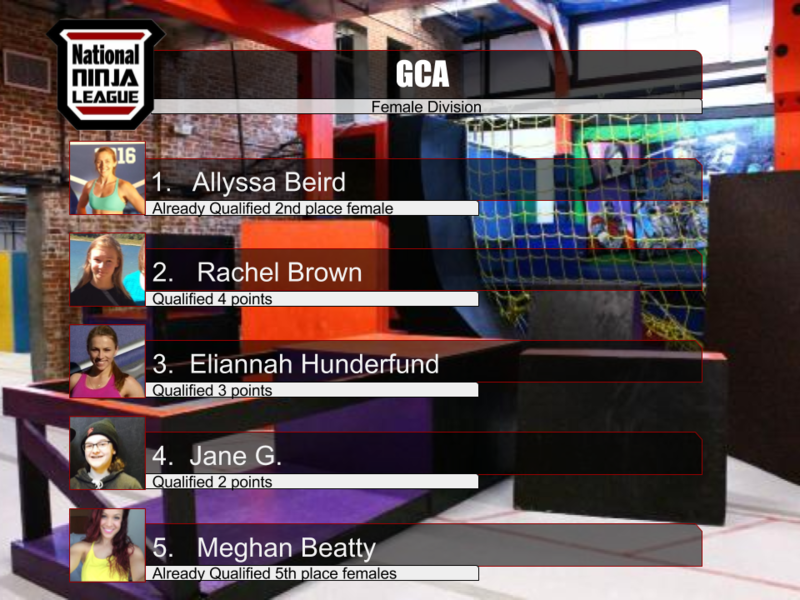 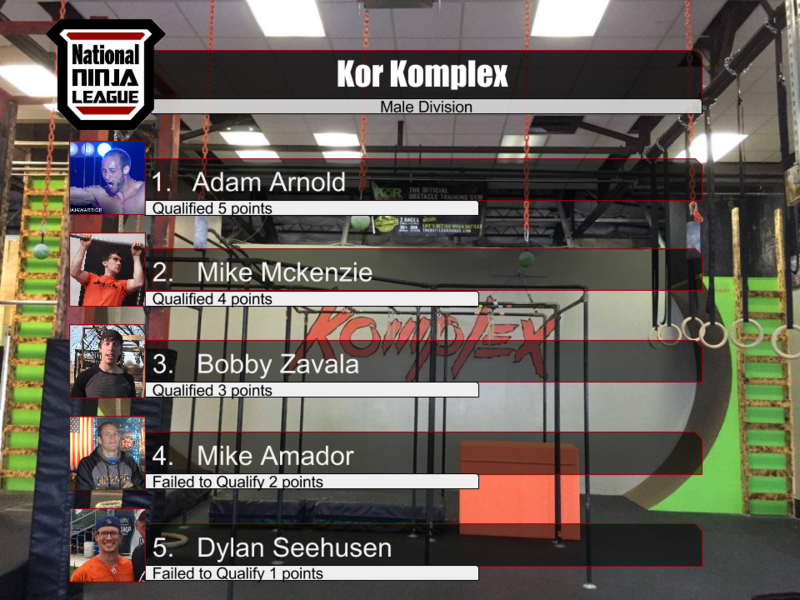 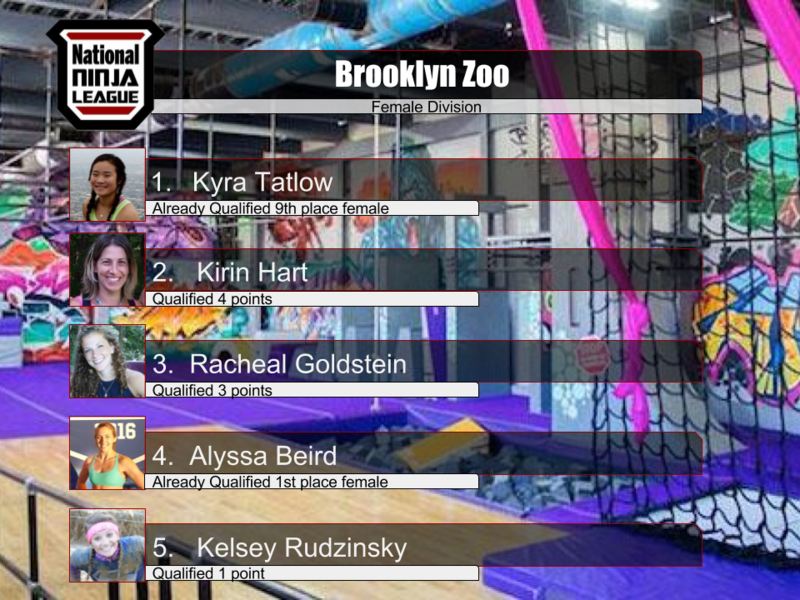 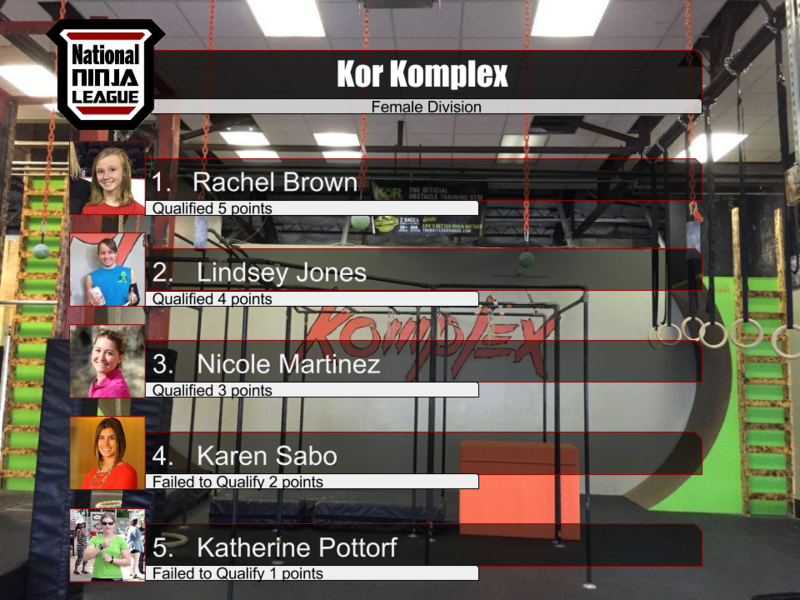 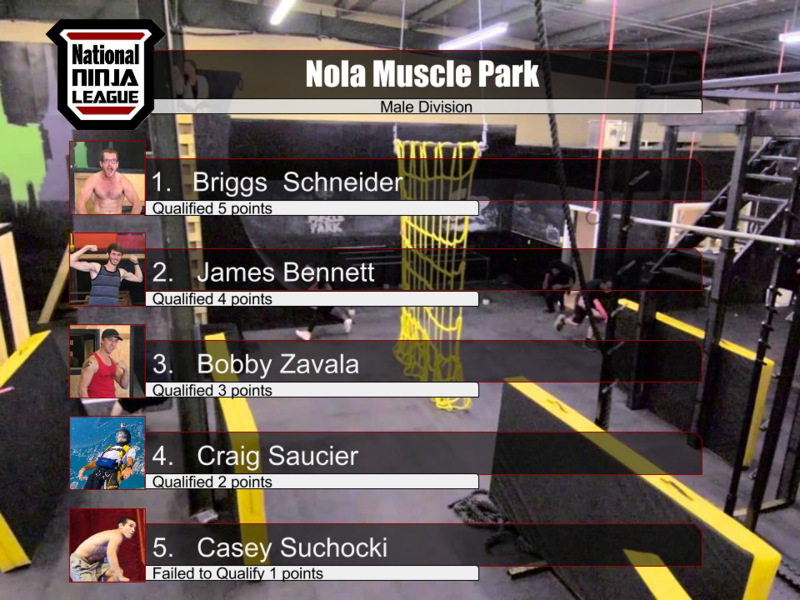 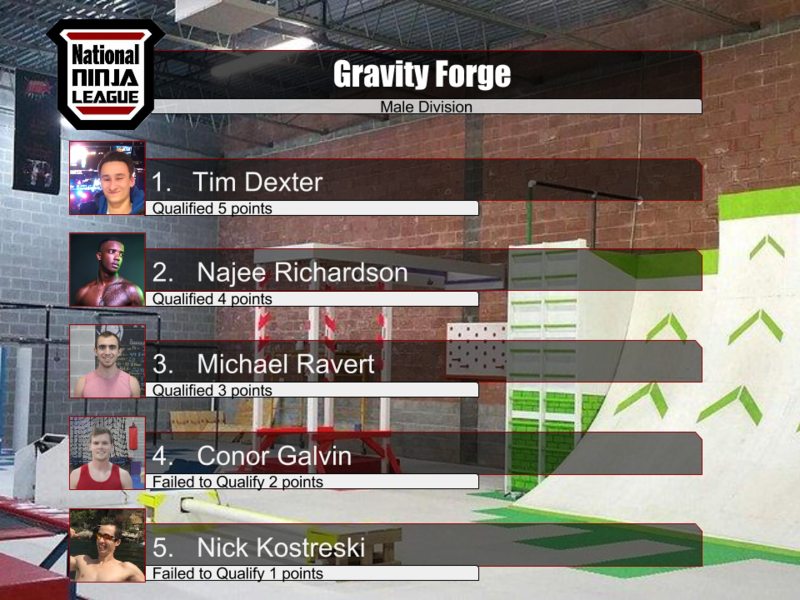 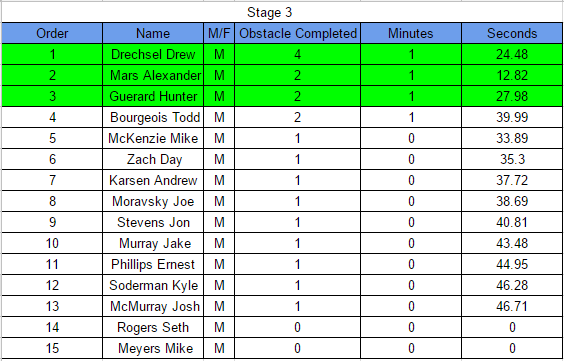 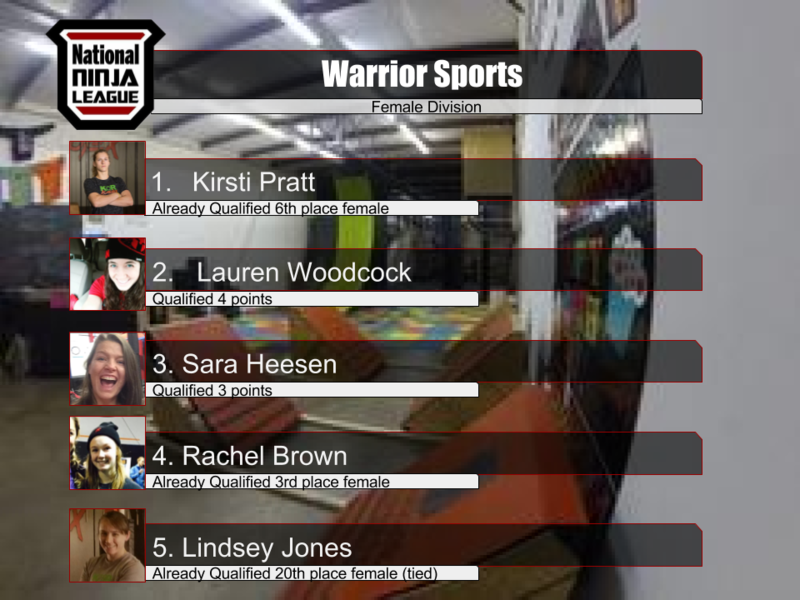 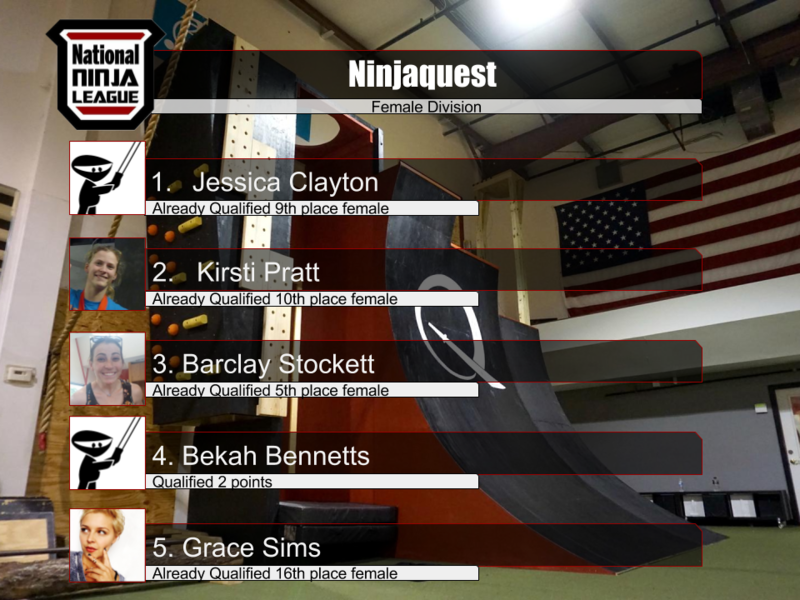 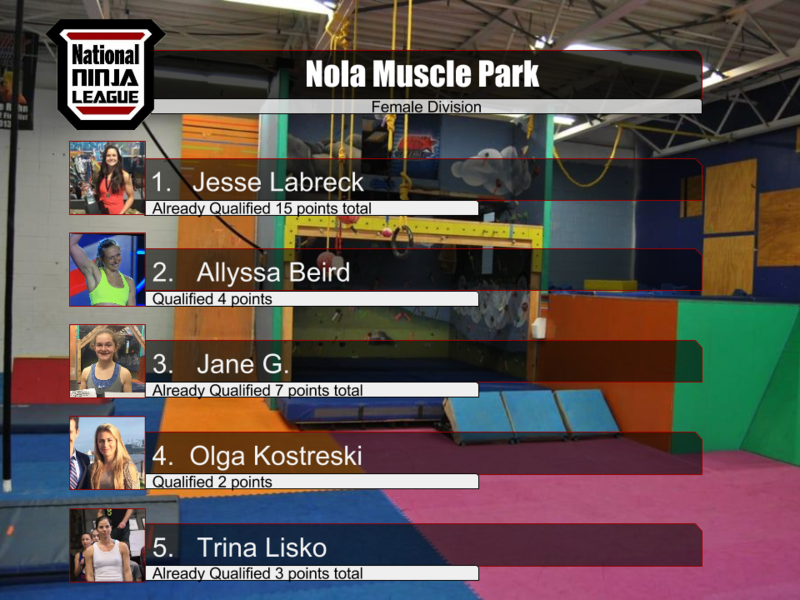 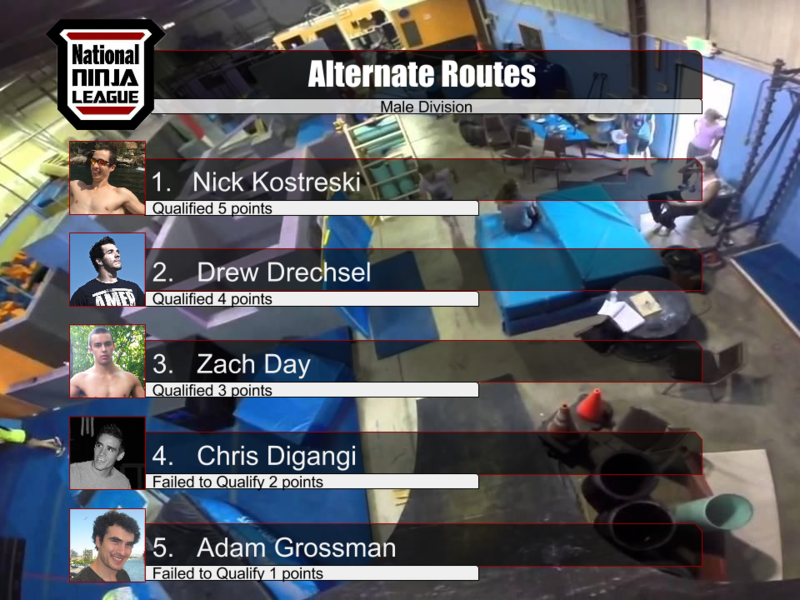 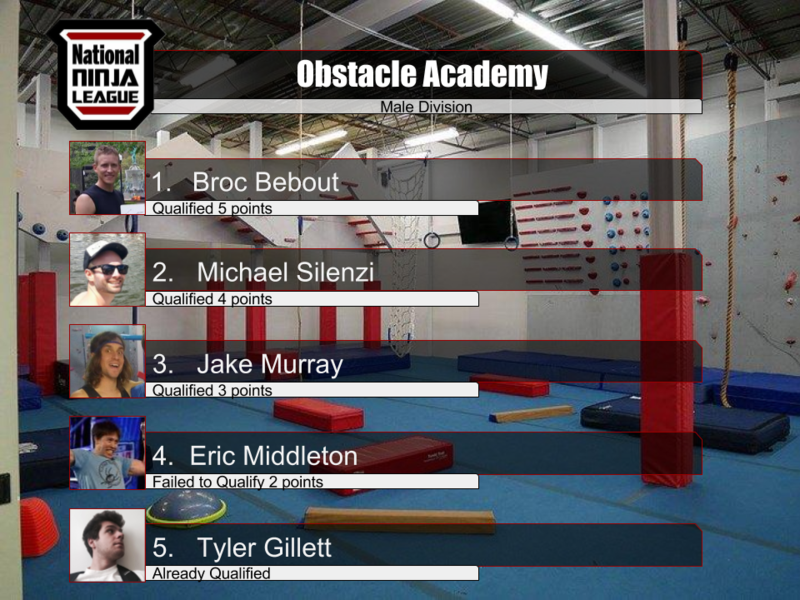 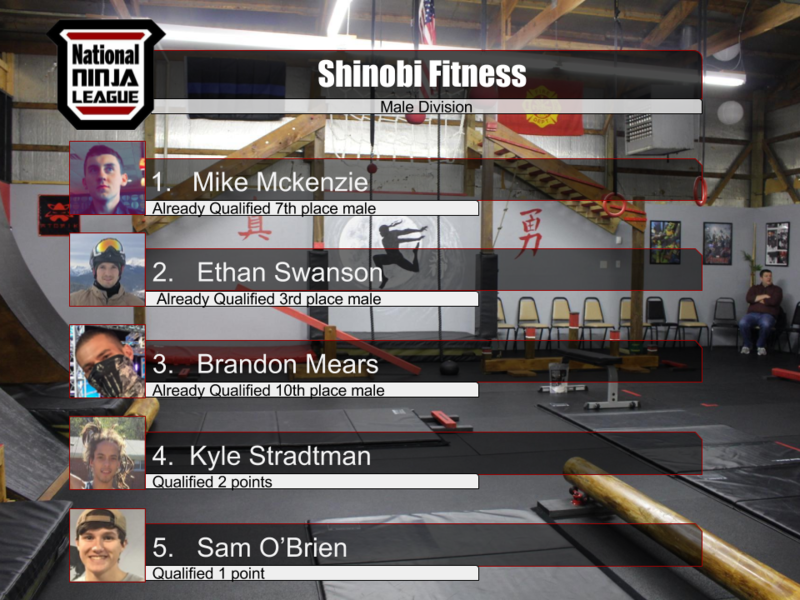 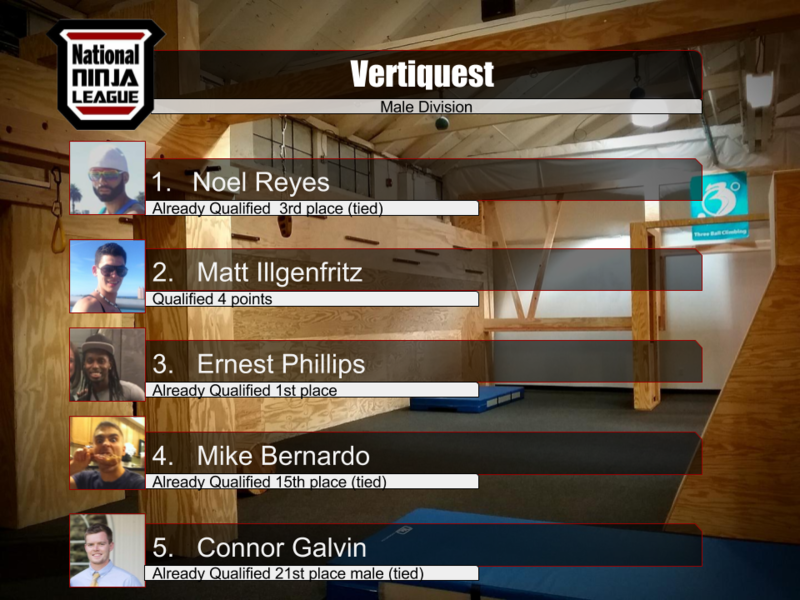 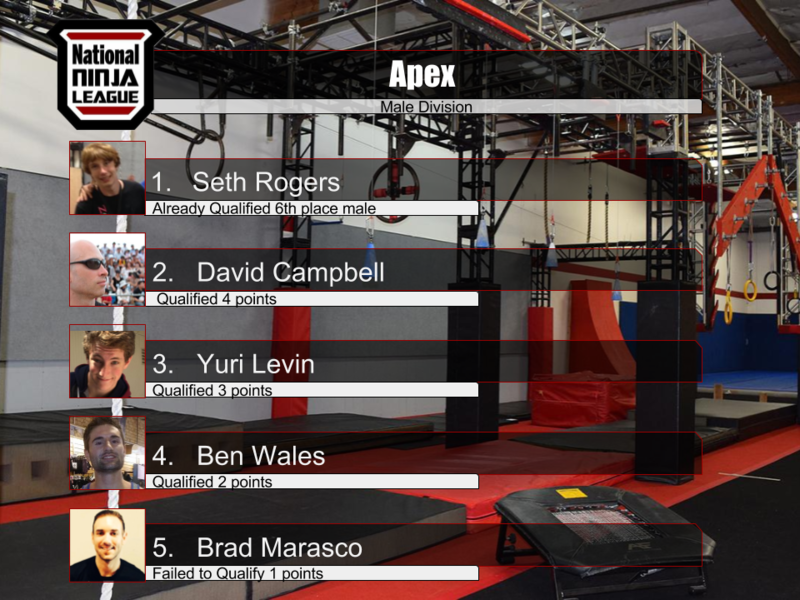 Points will be assigned for placing in the top 5 of a qualifying Ninja Comp. 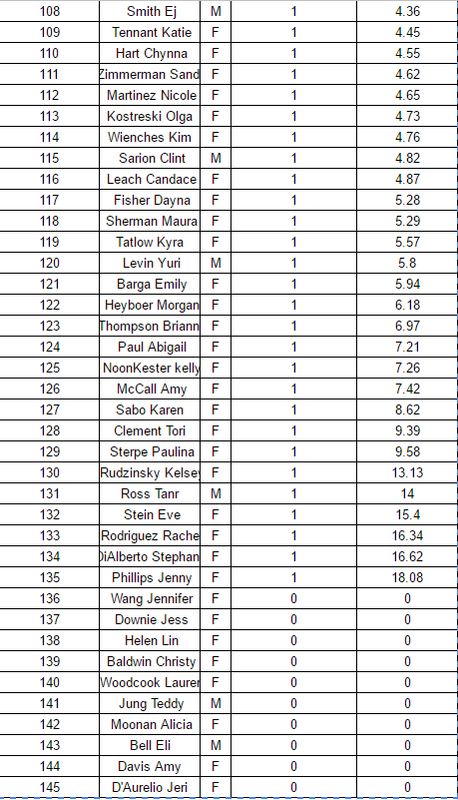 The male and female with the most points at the end of the season will be awarded prizes. 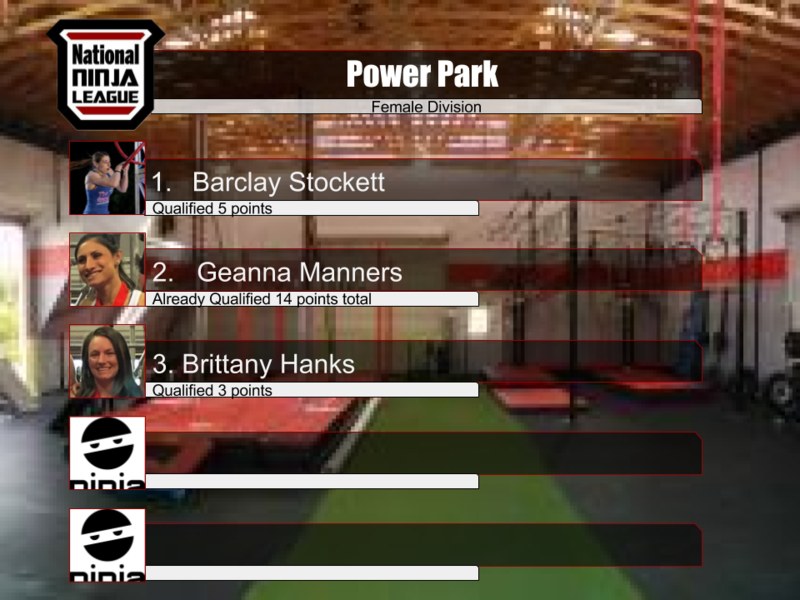 The points athletes obtain will also effect run order for the NNL finals held at Apex. 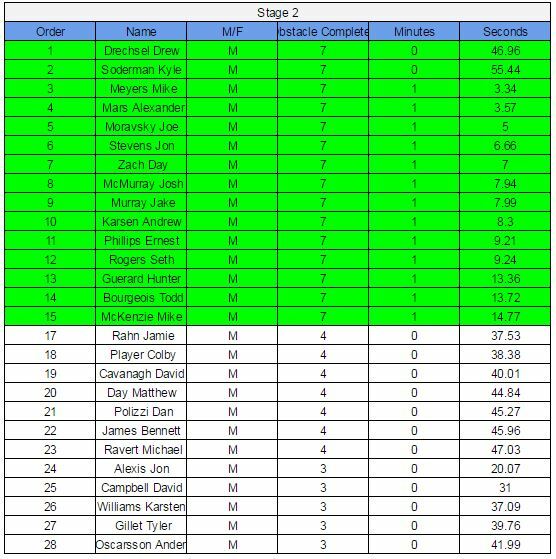 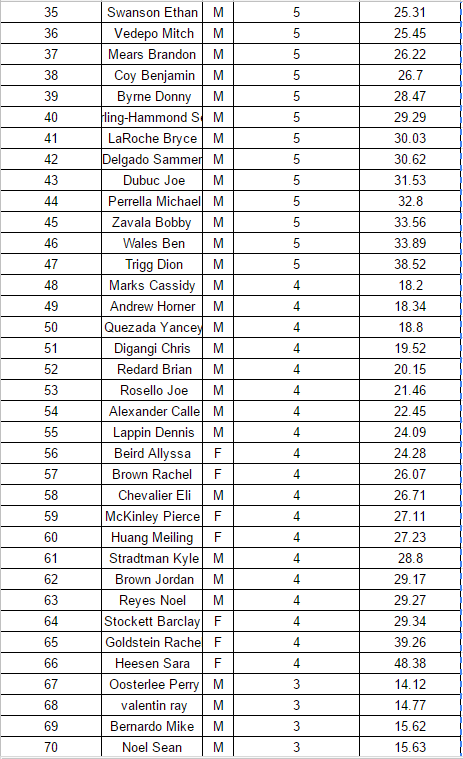 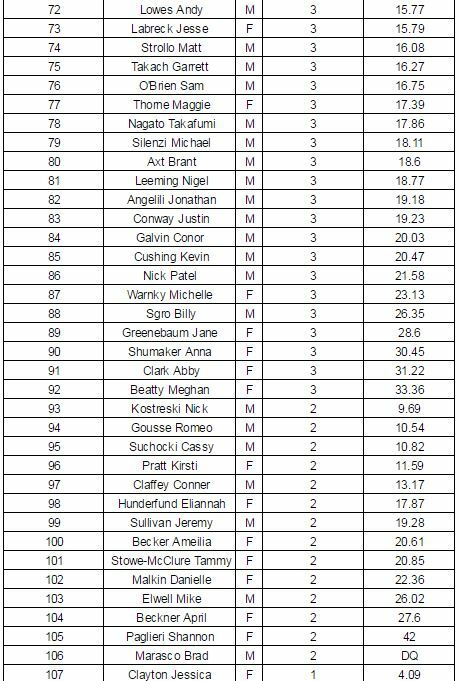 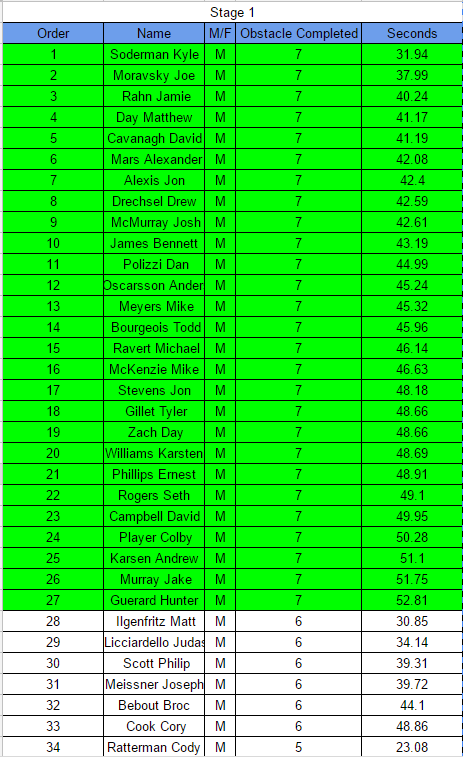 The athletes with the most points will run later in the event. 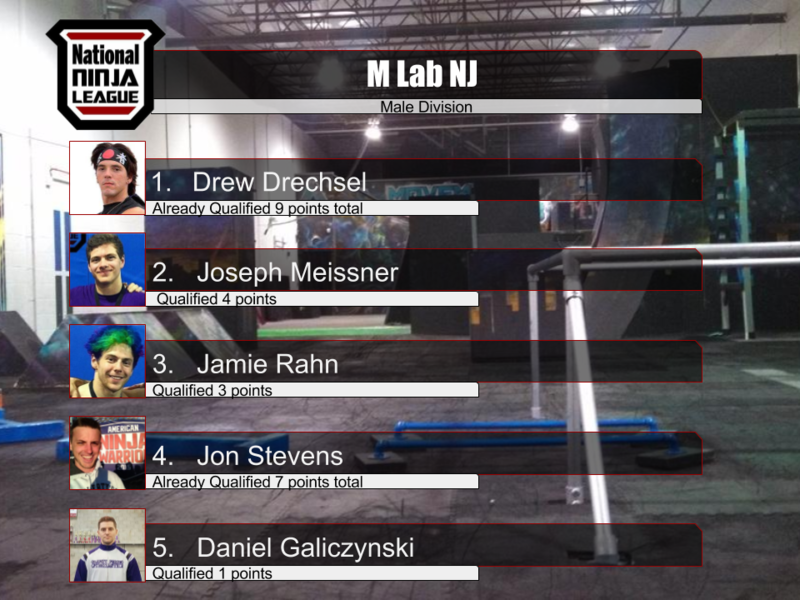 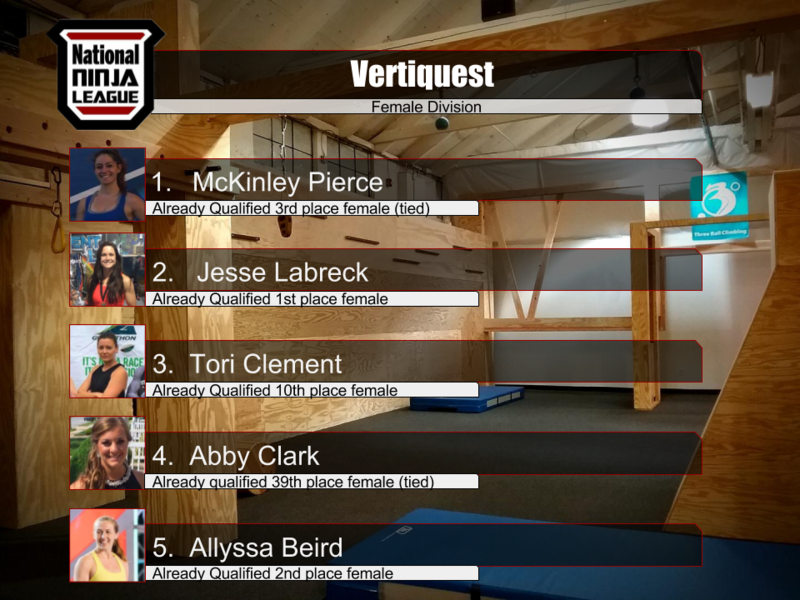 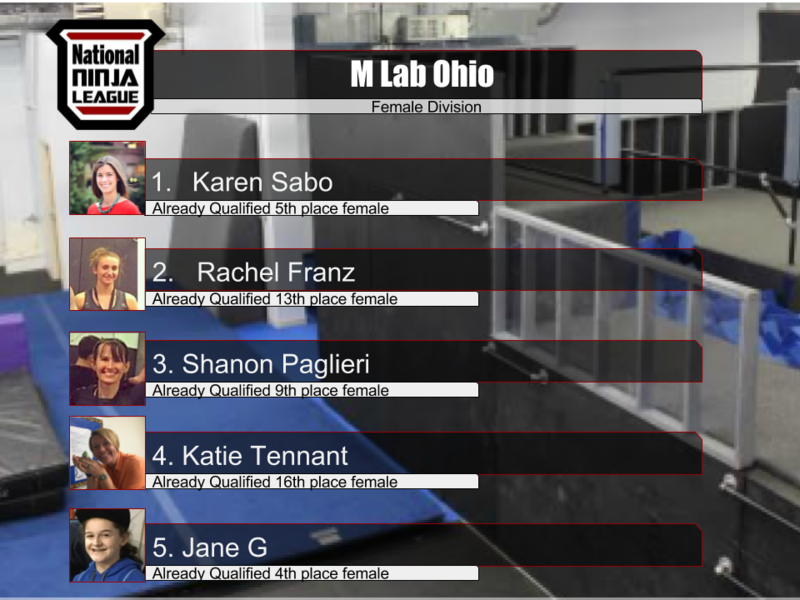 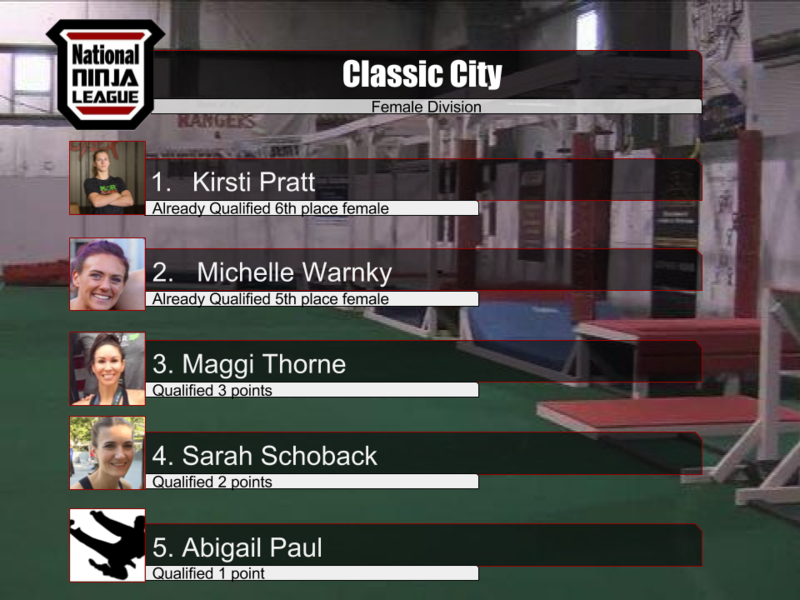 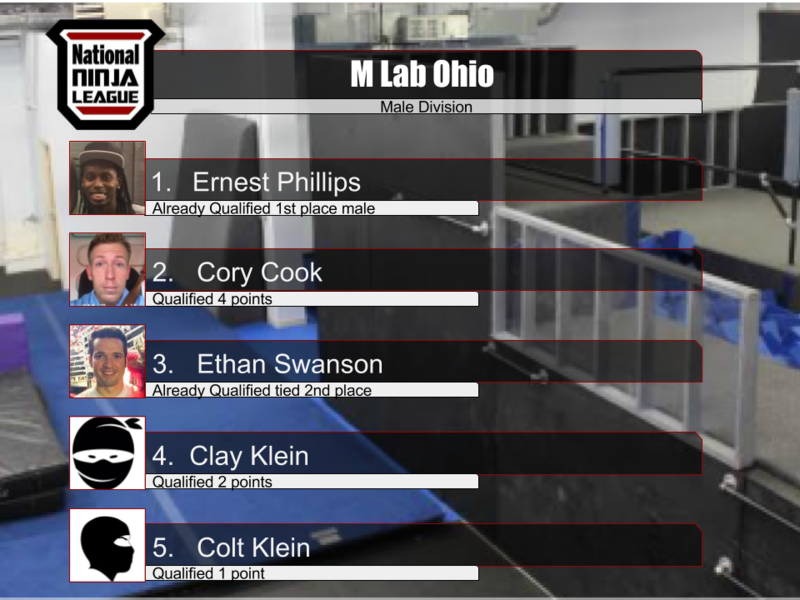 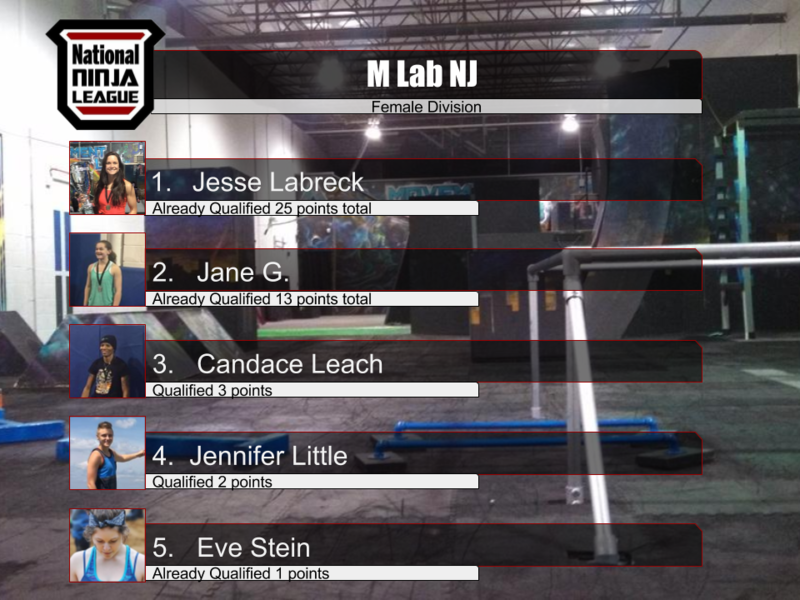 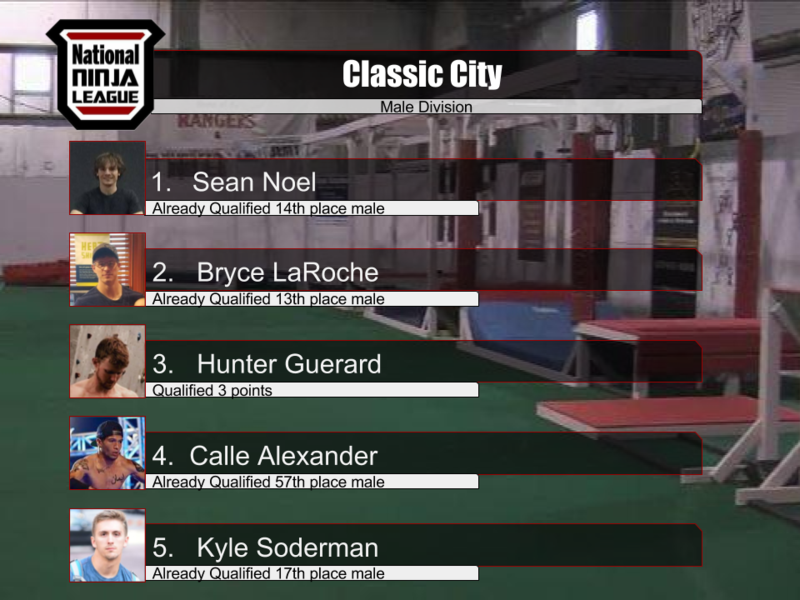 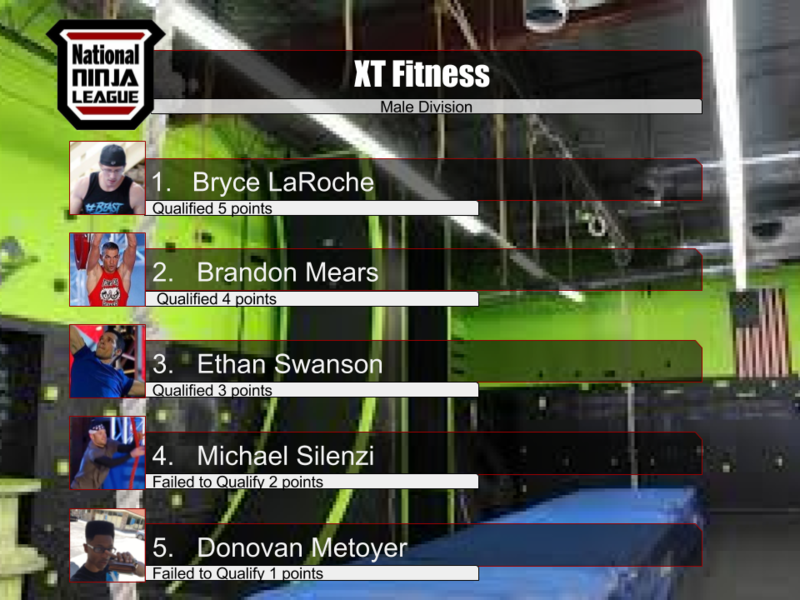 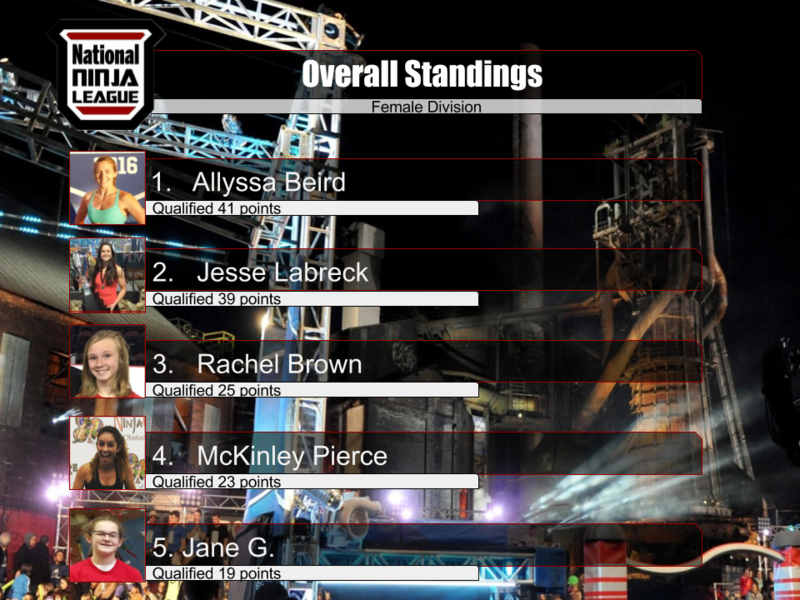 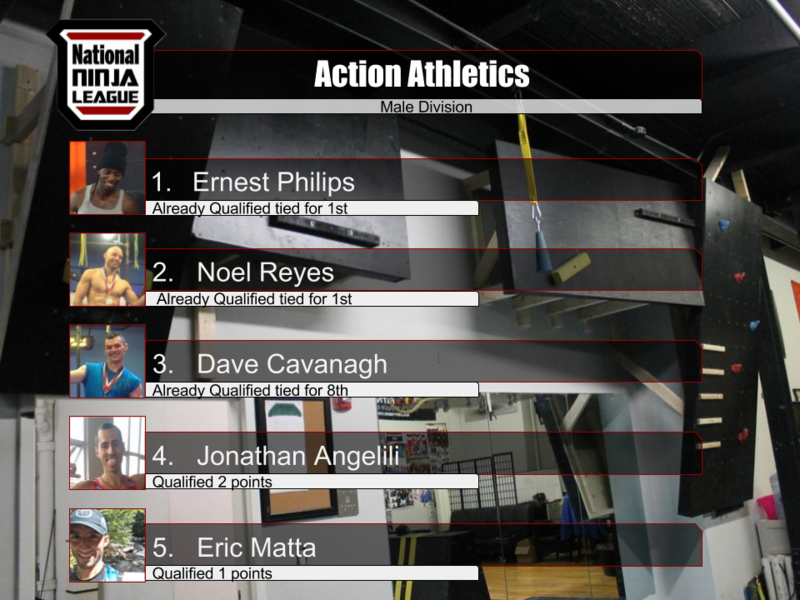 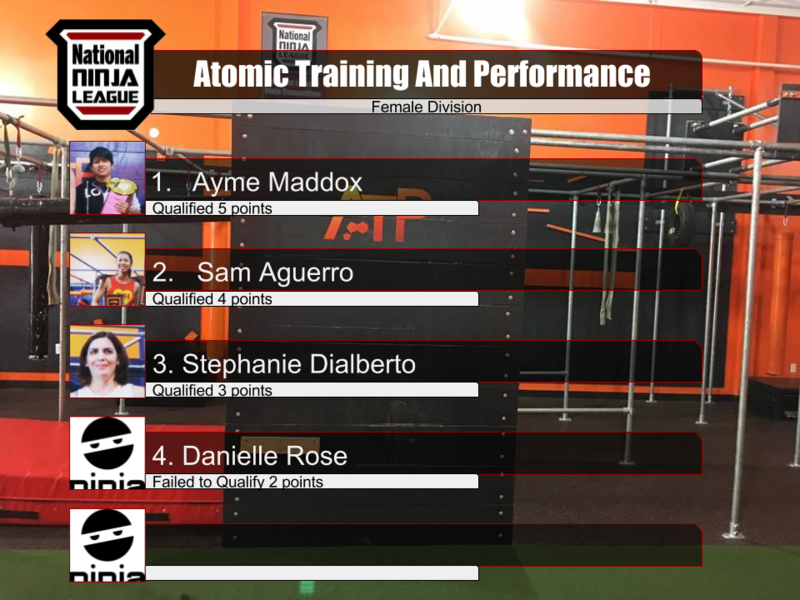 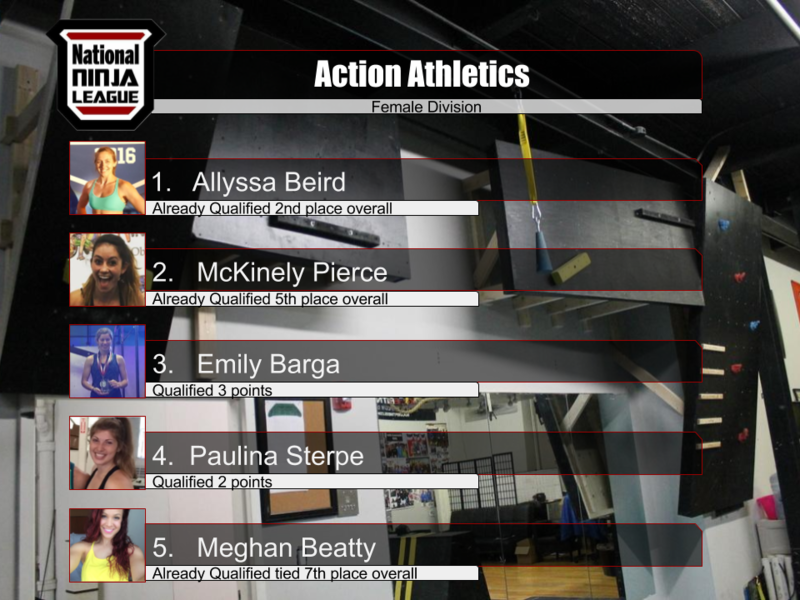 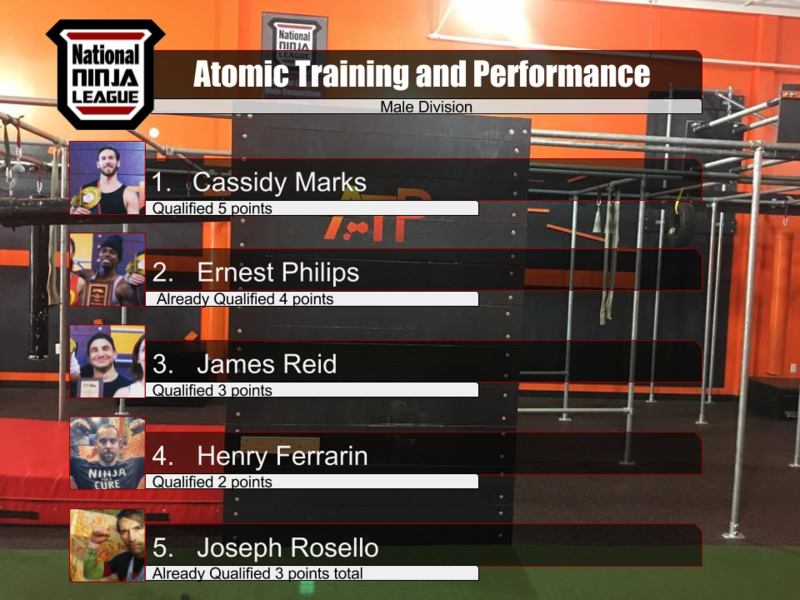 The following athletes listed below are the top five athletes from each comp. 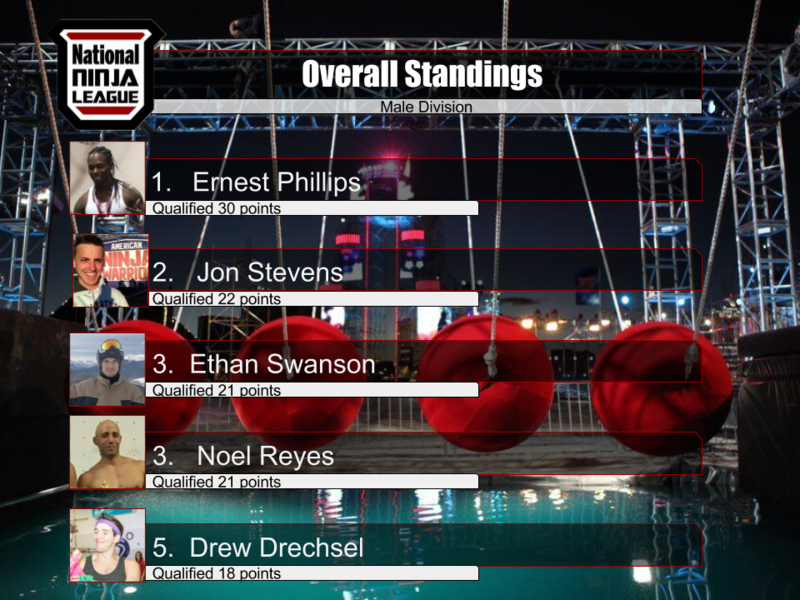 Only the top three from each division will move on. 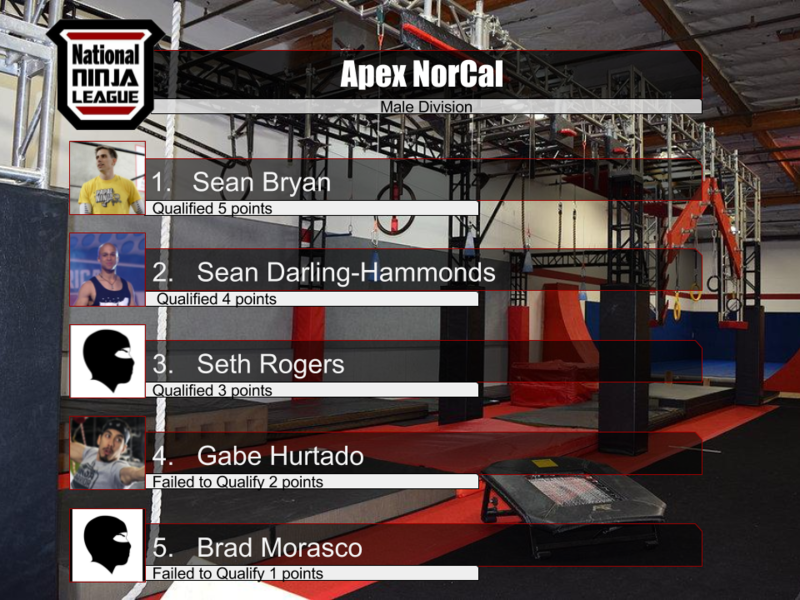 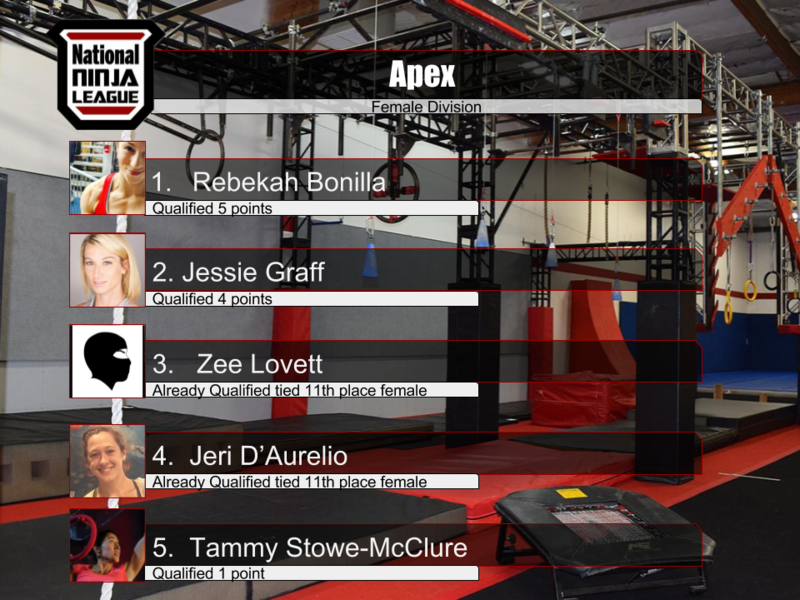 However, if any of the top three have previously qualified the next in line will be qualified for Apex Movement Nor Cal in February 2017.